The Mandola family has served up fried Cajun Style Turkeys during holiday meals for generations. In 2008, they decided to share this family tradition with Houston and invite customers to create their own holiday memories – Cajun style. Ragin’ Cajun’s Turkeys are perfect for a family holiday meal or a festive office party. 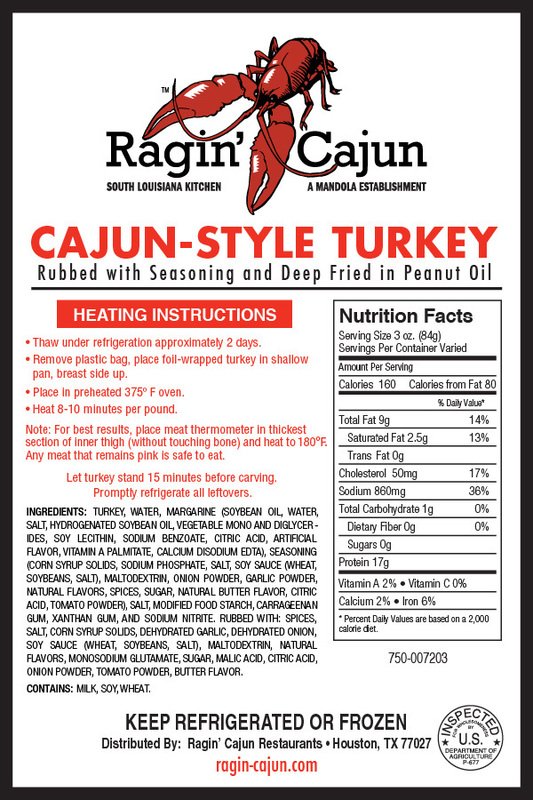 If you haven’t experienced a Cajun Style Turkey from Ragin’ Cajun, get ready to convert. 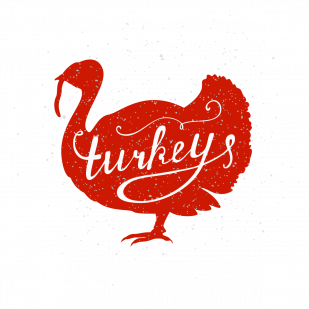 Our Cajun Style Turkeys are injected with Cajun/Creole seasonings and deep-fried to perfection so your holiday turkey will be golden-brown on the outside and tender & juicy on the inside. $60 for a 9-11lb bird (feeds 15). 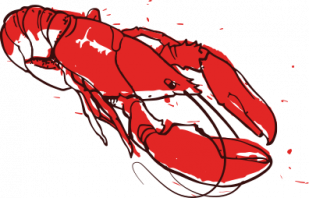 Available frozen or thawed. Cajun fried turkey, holiday gravy, dinner rolls, cornbread dressing, green bean casserole, and pecan pie. Cajun fried turkey, holiday gravy, Mandola Caesar salad, dinner rolls, cornbread dressing, garlic redskin mashed potatoes, chicken and sausage jambalaya, red beans and rice, peach cobbler and pecan pie. Cajun fried turkey, holiday gravy, cornbread, sweet potato soufflé, dirty rice, shrimp and crab gumbo and homemade bread pudding with rum sauce. See our complete holiday menu of sides, salads & desserts! Please CALL your nearest location to order your Cajun Fried Turkey.